World Centric' s mission is to provide sustainable products for a better world. The watchwords of sustainability - reduce, reuse, recycle - direct us towards our ultimate goal of a zero waste economy. In the meantime, in an economy that does produce waste, World Centric' s disposable food-service products are designed to transform waste into healthy, new soil through composting. Hence, our advice to consumers is familiar: "Reduce, reuse, recycle." Think hard before buying any single-use disposable product, even compostable ones. When choosing any product first consider how to reduce the amount that you buy and then consider whether the product is something you can reuse again and again. Finally, consider whether the product is something you can recycle when you are done with it. If after all those considerations, you still decide to purchase a single-use disposable product, we encourage you to choose a single-use disposable product that also is compostable. Humans must tread lightly on the planet. Human activity is already stretching the limits of the Earth's bio-capacity, with disastrous effects. We can choose new ways to live. 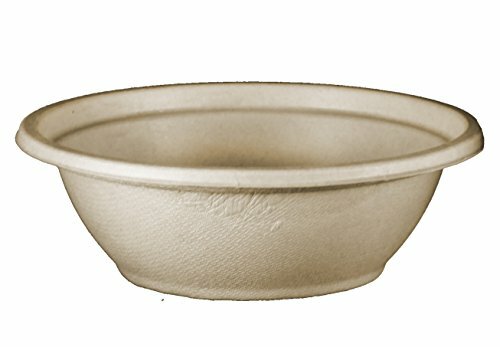 World Centric compostable products are lighter impact alternatives to everyday plastic and Styrofoam disposables. They use less energy and water to manufacture, and cause less pollution overall than petroleum-based products. They come from renewable resources and waste materials. They save biodiversity and habitats. The list of benefits is almost endless. In addition to providing compostable products, World Centric is taking action in other ways for a better world as well. We strive for fair labor practices in our manufacturing facilities. We donate at least 25% of our profits to charity. We invest in grassroots projects that offset all the carbon emitted by the energy we consumed in our operations.